Scripture-based actions to recover, reframe, and revive your thinking so you can overcome hurtful words that have falsely defined who you are. Hurtful words can steal joy, distort truth, and create long-term struggles with understanding your worth and purpose. 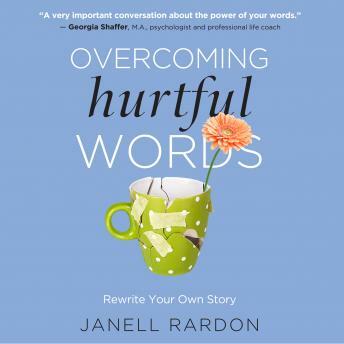 In this powerful new book, counselor and life coach Janell Rardon, MA, equips you to address and reframe negative words and labels that have hurt you in order to achieve healing and lasting freedom. By understanding and embracing your God-created identity, you will develop a healthy sense of self and build a foundation for lasting, positive relationships. Using Scripture along with tested and proven techniques, you can exchange unhealthy beliefs and behaviors for a new, joy-filled life.